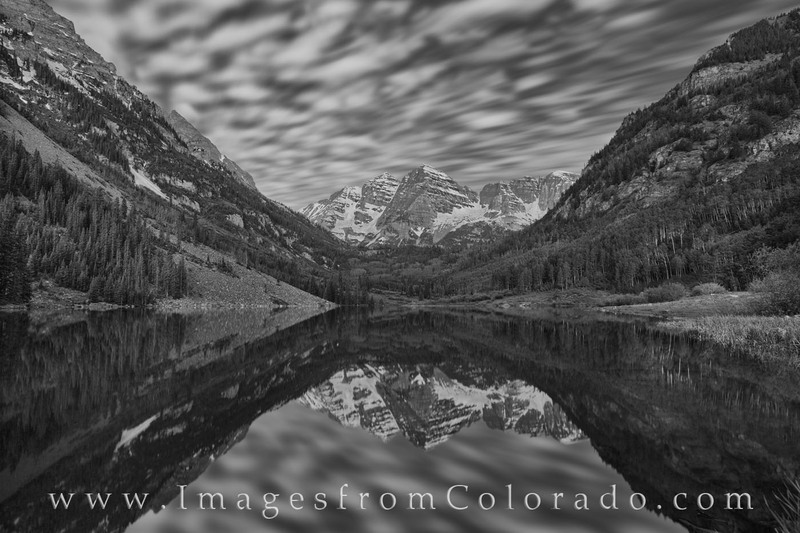 In this 135 second exposure from Maroon Lake in the Maroon Bells Wilderness area, clouds drift over the iconic 14ers, Maroon Peak and North Maroon Peak. In the foreground, the quiet waters are perfectly still, and the aspen trees filling the slopes of these rocky mountains are motionless. Photo © copyright by Rob Greebon.